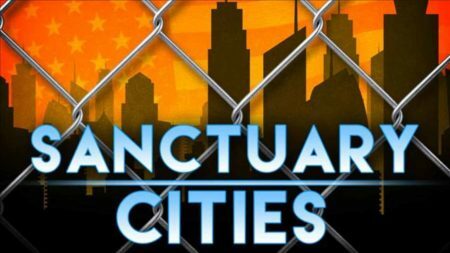 Politicians’ thirst for power and corporations’ religious devotion to their balance sheets are responsible for the suffering of hundreds of thousands of Americans by the criminal actions of illegal aliens. The Democrat Party has identified third world immigrants from places like Mexico, Guatemala, and Ecuador as future Democrat voters because they are poor, uneducated people willing to buy what the Democrat Party is selling; free housing, health care, and food in exchange for votes. Why do Democrats push for amnesty for the tens of millions of illegal aliens in America? 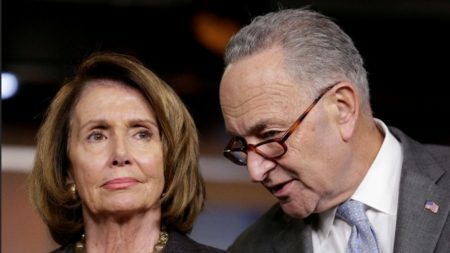 Democrats view illegal aliens as the means to power, not transient power, a neverending power that would give them a permanent stranglehold on the White House; the key is amnesty. Politicians and corporate executives continuously sing the praises of illegal aliens; they tell us all illegal aliens are hard-working, peaceful, virtuous, meek people who wouldn’t harm anyone or anything. However, reality flies in the face of this alternative world created by politicians and corporations. Maybe Senator Chuck Schumer would like to meet with the parents of a mentally disabled girl who was sexually assaulted by Leonel Vazquez (34) to explain to them how illegal aliens enrich their lives? According to authorities in McCracken County, Kentucky, Vazquez was caught on camera sexually assaulting the girl in a hotel laundry room. The girl and her parents were staying at the unnamed hotel while on vacation, and Vazquez had checked into the hotel earlier on the day he assaulted the girl, but he should never have been near that hotel or the United States. Vazquez is a twice-deported illegal alien from Mexico who was able to return to the U.S. to sexually assault a girl in Kentucky. According to a spokesman for the U.S. Immigration and Customs Enforcement (ICE), Vazquez was “voluntary returned” to Mexico twice in 2000, then convicted of a DUI in 2004 in a Georgia court, then deported twice in 2014. Why, other than to fulfill his dream of sexually assaulting an underage girl, was Vazquez in Kentucky? Vazquez traveled to Kentucky because a business gave him a job. An innocent girl and her family were violated by a monster because a company prefers cheap, foreign labor. Vazquez pleaded guilty to sexual abuse of a minor and will be sentenced on December 4, 2017. 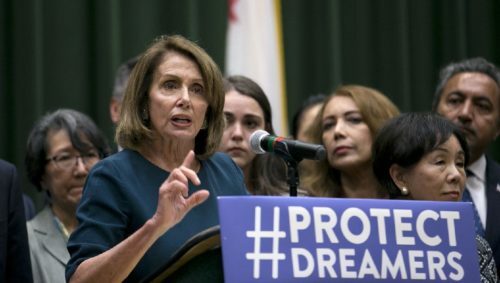 If U.S. Representative Nancy Pelosi can take a break from singing the praises of illegal aliens and threatening a government shutdown unless the DREAMers receive blanket amnesty, maybe she can meet with the parents of Cameron Marc Francis (21) and Marquice Gaines (22) to explain her illegal alien fetish. Francis and Gaines are no longer alive because of a Pelosi ‘dreamer,’ Ivan Jonathan Prudente-Anorve, who enjoys immunity from federal immigration laws. At approximately 2:30 a.m. on October 1, 2016, Prudente-Anorve while under the influence of alcohol sped through a flashing red light in Forsyth County, North Carolina and T-boned Francis’ car on the driver’s side door with the impact of a ‘5,000-pound missile’ killing Francis and Gaines; Prudente-Anorve walked away unscathed and unconcerned about the passengers in the car he hit. He “climbed out of his Chevrolet Trailblazer that had overturned in the crash, he didn’t ask about Gaines and Francis or the two other passengers in the Toyota Corolla, “Call my girl,” Judge David Hall said, referring to what Prudent-Anorve told Vannoi Jefferson, who helped him out of his vehicle.” It’s surprising he didn’t tell Jefferson to call Nancy Pelosi and let her know he’s an illegal alien with a dream and a voter registration card, and he needs her to intervene on behalf of his vote. Prudente-Anorve is an illegal alien with a North Carolina driver’s license and the recipient of numerous notices from the North Carolina Department of Motor Vehicles that his driver’s license was suspended or revoked. Police previously cited him for running the same red light and driving with a suspended license. Why did North Carolina give an illegal alien a driver’s license? Why? Because the transaction between Democrats and illegal aliens includes more than just welfare and amnesty for votes, it also includes papers, i.e., driver’s licenses, green cards, et cetera; first, the welfare and documents, then amnesty. This past Friday, a jury took only thirty minutes to decide that Prudente-Anorve is guilty of second-degree murder. Judge Hall gave Prudente-Anorve two consecutive sentences for each count of second-degree murder that will send him to prison for 42 years; Hall must not be a Democrat. What benefits do average, hard-working Americans derive from the presence of tens of millions of illegal aliens in America? Illegal aliens provide zero benefits to Americans, but politicians and corporations are or will reap significant benefits from illegal aliens. Members of Congress, except a few members, and corporations are indifferent to the vicious acts of their voting bloc and cheap labor because they’re invested in the illegal alien trade. Self-proclaimed elites dedicated to acquiring and maintaining power and wealth are sacrificing human beings at the altar of power and greed. The policies and attitudes of the few are responsible for countless casualties. Americans must not be swayed by the rhetoric of charlatans who tell them illegal aliens make their lives and America better because it’s not true. Americans have to demand that a big, beautiful wall be built across the entirety of America’s southern border and legislation passed that makes E-Verify mandatory for all employers. H/T: Illegal Alien Crime Report (website).